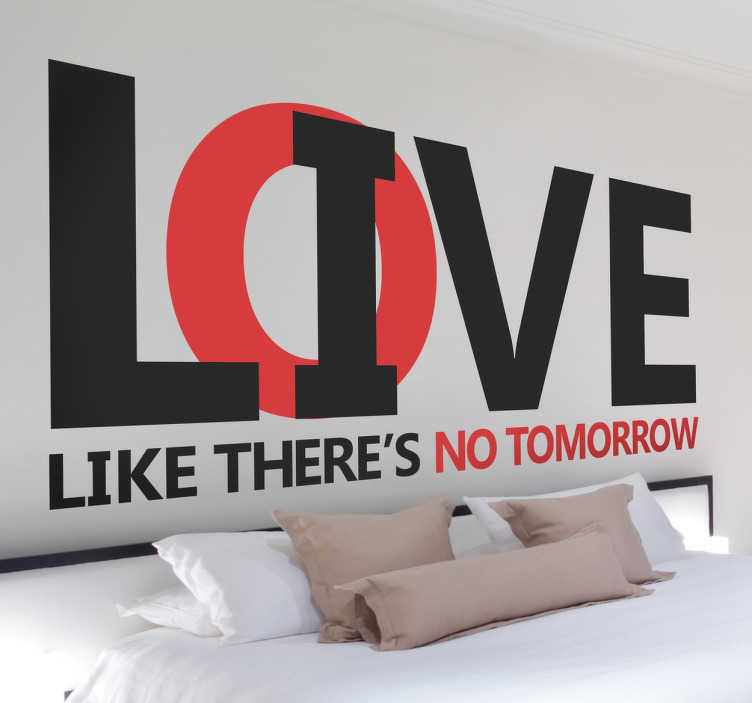 Live your life to the max like there's no tomorrow says this decal sticker. An ideal reflection on life! Select your sizes of your choice get you personalised sticker to put on your bedroom or kitchen wall. A simple and elegant way to decorate your home decor.